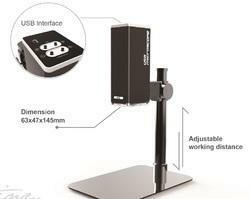 - Optical system: Mechanical tube length: IOS - Infinity Optical System; parfocal distance 45 mm. - Head: Trinocular, 30° inclined, 360° rotating. Diopter adjustment; interpupillary distance adjustment 55-75 mm. - Eyepieces: Wide Field 10x/22 mm. - Nosepiece: 5-position reversed revolving nosepiece. Ball bearing linear guides. 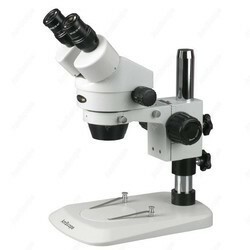 With our prosperous industry practice, we offer a wide range of Laboratory Microscope that is available in varied specifications.